Herbs + Heart Face Mud is one of the most unique, interesting and beautiful products I've tried in a long time! The 3 main ingredients of Manuka Honey, Orange Peel and Sandalwood all work together to gently exfoliate the skin, whilst drawing out impurities and embedded dirt. Now, as always, I'm going to be honest - when I first opened the jar, I did wonder why I had been sent this Vegemite-like substance to put on my face! The texture is very thick, and very black! 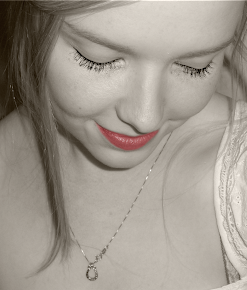 But when it came time for my nightly shower, I figured it was worth a shot, and I was very pleasantly surprised. I would describe this product as almost a combination between a cleanser and a mask. It cleans so beautifully, but it also leaves the skin feeling so refreshed and bright! 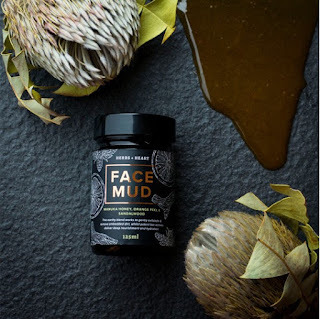 Face Mud also includes the added nourishment of Coconut, Aloe Vera and Apricot - that probably explains the fresh & bright part! Overall, I love this product! It's become a part of my shower that I look forward to every day - and who doesn't love that? If you'd like to grab one of these pretty jars for yourself, you can find them over at Herbs + Heart for a RRP of $38.99.